What is the best free inventory management software? The best free inventory management software is Zoho Inventory, considering the features and support that the vendor offers for free. It makes use of automation to help companies manage their stocks with accuracy and efficiency. Meanwhile, its inventory tracking features allow users to monitor the movement of their items anywhere, making it highly suitable for online sellers while being a great help to small businesses. Free doesn’t have to mean cheap. This is true in your quest to find inventory management software that charges you nothing. Luckily for you, vendors try to crowd each other out in this field and would go to great lengths as giving their app for free just to have you signed up. That means going for a free inventory app shouldn’t be for lack of options, but for the best deal that you can find. Be aware though, there are free apps that fall short of all expectations and, worse, with dark intentions to hook you up unfairly once you’ve given your precious data to them. Not to worry, we did the digging to come up with a clean list, that is, free inventory management solutions that are a boon for organizations, especially small businesses. What are the best free inventory management software solutions? How reasonable is it to expect a free system to fine tune the strings? A lot, including tracking, automation and even access from your smartphone. In most cases, the free app leads to more premium features once you bump up to a paid plan, which you ought to once your business grows big. Many free platforms offer SMB-friendly functionalities that include inventory tracking, order management, stocks monitoring order and fulfillment and even billing and invoicing. They also ensure that you do not have to contend with obsolete inventory by effectively monitoring them. Not getting your inventory right off the bat can spell disaster. Remember the mismatched inventory of Barbie SUVs by Target Canada that left customers frustrated and angry? Or Walmart’s $3 billion loss due to inventory problems? If inventory problems can put the big guns down, much more a growing business that is yet to gain a solid foothold in the market. With a free option, you’re not only getting the day’s deal but ensuring your company’s future is on the right track. A part of Zoho’s suite of productivity tools, our top solution Zoho Inventory is designed to help businesses improve their inventory and order management processes via automation. It has inventory tracking capabilities, allowing you to know how much and where your products are anytime, anywhere. It is highly recommended for online sellers, regardless of size and type. Using the app, you can keep track of your inventory from the time an order is received to the moment it is delivered. But what makes Zoho Inventory small business-friendly is the fact that it can be used absolutely for free. Its free plan has all the inventory and order management features that startups need to effectively manage their supply chains. It likewise ensures that you never run out of stocks by automatically replenishing depleting inventory. Other prominent features include support for iOS and Android devices, reporting, analytics, order and fulfillment management, selling channels and billing and invoicing. You can easily sign up for a free Zoho Inventory trial here to find out how far its free version goes. The platform comes with kitting functionalities but can be customized to meet your company’s needs. It makes product categorization a breeze, listing them by availability, prices, SKUs and similar items. An automated reordering feature allows you to automatically restock, making it virtually impossible for you to have low inventories without you knowing. Stocks can be adjusted as the system monitors product shrinkages, looking out for changes that may otherwise be overlooked. Finally, Zoho Inventory integrates seamlessly with other Zoho tools, further adding to its features and benefits. Who is Zoho Inventory designed for? Zoho Inventory is designed primarily for small businesses, given the fact that it can be used for free.  However, it can also be utilized by medium and large enterprises as it comes with paid plans that have advanced features that meet these organizations’ inventory management requirements. What features will you get for free? Zoho Inventory’s free plan comes packed with all the features that small businesses need to handle their inventory. Zoho Inventory’s paid plans come in three packages starting at $39/organization per month. These plans come with advanced features that are designed to cater to larger enterprises, giving them the tools that they need to be able to get a handle on their inventory management. Ranking second in our freemium inventory management software listing is Ordoro, often referred to as the most intelligent shipping system for small and medium businesses. Ordoro has what it takes to handle a variety of shipping, drop shipping, and inventory management requirements, and guarantees error-free performance regardless of the number of supplies it is going to be used for. The true value of the system, however, is not fulfilled but unfulfilled orders management. The highlight of this system is dropshipping control, as you can assign items as dropshipped SKUs and still get to use the service for the rest of your products. In the meantime, you can assign new suppliers and run reports on your performance, catering to the one main priority of your work – keeping end customers satisfied. Ordoro continues to get new features and functionalities to further improve your inventory management. For instance, you can use its Signature Restricted Delivery feature when shipping through USPS. When using tags to filter orders, an additional category labeled “Does not have: Any” can be chosen. Items that can be shipped using inventory on-hand can easily be identified with its Shippability toggling option. If you need to edit a product’s category, you may do so using the system’s Product Detail Page, allowing you to make changes to your product category data. Who is Ordoro designed for? Ordoro was developed to serve sole proprietors and businesses all the way from small startups to international enterprises. It is particularly recommended to businesses with wide product palettes as it works with several suppliers and shipping service providers. Ordoro is a freemium inventory management service with a total of six SMB and enterprise pricing plans. Our experts consider its free plan to be one of the best unpaid inventory alternatives, keeping in mind that the two main functionalities of the system (return labels and split shipments) are packed inside, and so are the basic features. The plan, however, is offered to single users with no more than 50 orders per month. Next to the Free plan, Ordoro offers 2 more basic plans with setup assistance and advanced functionalities ($25 and $75 per month), and three professional packages ($99, $199, and $299 per month) for larger enterprises in need of premium dropshipping, SKUs, and admirable business analytics. inFlow is a popular, desktop-based inventory management system for small and medium businesses. You can use it to fill and distribute customer orders, reorder your stocks, generate invoices and purchase orders, and create customized reports. As such, inFlow is applicable to a variety of industries, including wholesale, retail, eCommerce, manufacturing, healthcare, governing and administration, and many more. inFlow Cloud is also available, which functions very similarly to the on-premise version. The only main difference with Cloud is that it syncs user data over the Internet, so users could manage their business from any Windows PC with a connection. For much of its functionality, inFlow resembles a traditional, old school inventory management dashboard, but plenty has been done to modernize its functions, and yet preserve the same, easy navigation companies are used to. The system receives constant updates so that you can enjoy more features. Items can be sold at the right price despite pricing changes. Products with fixed markups can be identified, allowing you to adjust prices automatically using cost values as a basis. This way, new shipments with high prices cannot adversely impact profit. When you need to email numerous documents, you can do so, resulting in time savings. Products pricing can be set to include taxes, which will also be reflected in your invoices. Who is inFlow designed for? Small and medium teams looking for a simple tool to track their inventory. Particularly recommended for first-time inventory management users. inFlow is another example of freemium inventory management software where premium functionality is not restricted to paid packages. Instead, paid and unpaid plans are distinguished depending on the number of managed products, customers, and reports, available storage, and data protection mechanism. What features will you have to pay for? Developers described Ornavi as a job management tool, right because it combines a lot of business management processes, monitoring, and HR practices in a single hub from where users can also maintain inventory and purchase control. Plus, it is one of the most innovative systems of its kind, always trying to please users with trendy features and automated updates. It is hosted in the cloud, and thus, is available on all devices and operating systems. What should you expect from Ornavi’s inventory management module? The system offers simple, yet powerful stock management capabilities, such as importing suppliers’ price lists, rapid quote generation, and multiple units due for monitoring and management (boxes, metrics, etc.). A separate part of this system is dedicated to purchase orders, where you get a clear view of your minimal stock levels, store manufacturer information, auto-generate orders for shortfalls, and record both lists and prices for each item. Who is Ornavi designed for? Small and medium companies looking for an affordable, yet complete business process management system that will also cater to their inventory and purchase management needs. Ornavi offers three pricing plans to meet the needs of different users, and the good news about them is that the content of the chosen plan is not directly linked to its price. What you are about to pay (or skip paying) is the number of users, available storage, and support. For the free plan, for instance, you can involve 3 users for 5 active jobs, and benefit from 250 MB available file storage. Designed predominately as a business intelligence system and quantity supply chain for commerce operators, Lokad makes use of your data and turns it into valuable intelligence for inventory optimization and fraud detection. The system assumes the role of an accurate demand forecaster and delivers top Excel reports needed to automate all types of reordering processes. It is hosted in the cloud, which means that your data will not only become understandable but also accessible from all devices and locations. As our experts like to put it, Lokad is the ‘polishing layer’ of your already existing inventory management scheme, used to perform statistical analyses, and handle intermittent demand patterns that are frequently observed in the commerce world. The company is also known for providing excellent commerce transaction support and delivering hands-on assistance for as many multichannel order management software systems (MOMs) as your company’s working with. Aside from those mentioned, Lokad is capable of real-time data exploration through its dashboard slicing feature. With this functionality, you can explore a database of dashboard views in real time. The vendor also offers scalable packages for on-demand computing resources for supply chains. It has also made random forests a part of the system, which is very useful in coming up with different approaches to optimizing supply chains. Who is Lokad designed for? Small, medium, and large businesses trying to make their inventory management processes more optimized and transparent, and to make stock decisions based on facts. Generally speaking, Lokad’s no-expiry free plan wraps up most of its inventory intelligence features, but being a part of the company’s Bare Metal pricing module, this version is only offered as downloadable software with no access to support. Same goes for the three basic plans in this group, while for professional users, Lokad is offered as SaaS and includes expertise for various industries. PartKeepr is an open-source inventory management application developed to help companies reorder items in their stock, and always have a clear overview of the products they have at disposal. With a blazing fast search function and a variety of part data parameters being tracked, PartKeepr is the master of its skill, helping companies streamline relationships with distributors, and keeping their customers satisfied. The system doesn’t limit the number of users in charge of inventory management and allows companies to control as many items, distributors, and manufacturers as they currently have. Each addition/removal from the stock is immediately tracked and documented, alongside prices, users, and optional comments. Users will also have the possibility to configure their minimal stock levels and use advanced filters to quickly find any items in their database. Being an open-source inventory management system, it is no surprise for PartKeepr to become better and better as new functionalities are regularly added to the solution. You are no longer confined to the solution’s default filtering system, meaning you get to filter all grids for all fields. Integration with OctoPart, meanwhile, allows for retrieval of information such as distributors, datasheets and part parameters. Data from CSV files can now likewise be imported into any of the software’s data structures. You can also create batch jobs that you can run on specific actions. Who is PartKeepr designed for? Teams of all sizes and industries looking to manage part inventory data, and preserve full control of their stock items. RightControl, as indicated by its name, offers you full control over your stock and inventory. This well-known Losoftware product is ideal for centralized warehouse management and is perfect for freelance and small-biz service providers. But it can also be tailored to cater to larger enterprises due to its unlimited size ventures and functionality. Why choose RightControl? This modern and simplified system puts in place accurate invoice management, constant stock level monitoring, order management, barcode scanning, and enterprise-level reporting mechanisms for you to enhance stock control. It is cloud-hosted and easy to access from any device/operating system, and integrates will all popular packing & shipping management tools. RightControl’s has more notable functionalities, such as the ability to generate barcodes and automatically assign them to stocks. The same can be customized and quickly printed for your convenience. Inventory can be dispatched as the system comes with forms that provide you with accurate data at the right time. It also ensures that the right items are selected for shipment. Invoice creation is likewise covered by the system, automatically generating an invoice every time you dispatch an order. These are stored by the platform and can be accessed when needed. Who is RightControl designed for? RightControl works best for freelance and small-biz service providers interested in migrating all inventory management operations under the same roof. The software features remain the same in all packages with the only difference bing the number of users (1 for Solo, 3 for Pro, and 10 for Workgroup), terminals, and inventory lines. Deliverd is a free-of-charge inventory management and order fulfillment application for eCommerce site operators and online retailers from Amazon and eBay. Its main function is to keep track of the products in your stock and cover end-to-end each stage of the fulfillment and delivery process making sure customers are happy with what they get. Even for large shop operators, Delivrd will eliminate all hassles related to sourcing products and services, selecting the right pieces, and then packing and delivering them to the location in question. What will Deliverd’s inventory management do to enhance your business? The very first moment you receive products from the distributor, they are accounted for in your database, and thus easy to count or open to any distribution idea you might have. You can count them regularly, and respond only to the orders for products you have available. The system is also equipped for barcode printing and scanning, sourcing-to-shipping monitoring, profit & loss analysis, and shipping management. Delivrd is also capable of computing your stock’s entire value, which can be tedious at times. This is done through the system’s Stock Valuation Report functionality, providing you with an idea of the total value of your inventory. Aside from this, reports can be filtered based on location, SKU number or product category. You also get automatic inventory alerts through email, all you have to do is enable the feature in the system settings. This feature can be likewise turned off if unneeded. Who is Delivrd designed for? Small, medium, and large eCommerce operators and web store owners on Amazon and eBay. It is a reasonable alternative for each business looking to control sourcing-to-shipping processes. Deliverd has one of the best shipping and order fulfillment plans that can be acquired for free. All main inventory and shipping features are available in this free plan, but users will be limited to manage up to 25 products per month. Deliverd offers only one paid plan next to the free one (Advanced Inventory Management & Order Fulfillment – $49.99/month) which offers pretty much the same functions, with the difference that you can use it for an unlimited number of stock instances and products, and benefit from several advanced features. ABC Inventory is Almyta System’s free inventory management system that you can download and use right from their official website (EXE or ZIP), without creating an account. The system collates all basic inventory control functionality required by small and medium businesses, and one which won’t limit the number of records or workstations. As soon as you put it into action, ABC will track each stage of your inventory’s lifecycle, and let you create purchase orders for suppliers as soon as the product has been delivered to the customer. The main advantage of this system is extensive customization, as its neat modular organization gives users the chance to tailor the commercial version to their needs and make it more business-specific. ABC Inventory will also allow you to maintain multiple warehouses at once and govern as many separate companies as you have in place. Aside from its powerful basic features, ABC Inventory benefits are bound to make your inventory management processes both seamless and much easier. The system supports screen customization while allowing for automated invoicing and warehouse scheduling appointment, making warehouse management a breeze. The software likewise gives you absolute control over your inventory, using features like inventory unit detail, inventory item master list filters and unit detail filters. Who is ABC Inventory designed for? Sole entrepreneurs, small and medium commerce operators interested to manage multiple warehouses and create purchase orders for free. Particularly recommended for specific industries looking to modify and customize their workstations. ABC Inventory is a completely free-of-charge system that won’t restrict the storage, or number of managed companies or warehouses, and will also provide the possibility to configure workstations and make them more specific. There are no hidden fees and recurrent costs – all you have to do is to download the system and let it handle all of your inventory management needs. The only restriction is that the free, non-commercial version is available to single users only. ABC Inventory doesn’t offer any paid plans to consider. Larger companies with more complex requirements, nevertheless, should consider contacting the vendor for a commercial version of the product (adds up advanced functions, reports, and forms technology) or consider a different system such as the Almyta Inventory Distributor. Stockpile is Canvus’s most popular inventory management application that makes stock control a breeze at no cost. Designed exclusively for startups and small businesses, Stockpile Inventory Management has one of the easiest-to-use interfaces and is also well known for its innovative development policies which please users with trendy features day by day. But ease of use is not all there is to Stockpile benefits. Having been designed with small businesses in mind, Stockpile Inventory Management is bound to put the little guy on the path to growth with its seemingly endless set of features. For example, the system is able to assign inventory items individual quantities and locations while having the ability to add or remove transactions. But what’s really great about the app is that it allows for unlimited locations, items, and users. It also gets rid of the need for spreadsheets as it effectively tracks inventory regardless of geography. Who is Stockpile designed for? Startups and small businesses looking to save time by accessing and administering multiple locations simultaneously. Sole proprietors should give it a look as well. As could be expected, there are also cases when free inventory management platforms just don’t cut it. Despite all the benefits that they offer, these products do have their limitations, which make them less ideal than their commercial counterparts at times. 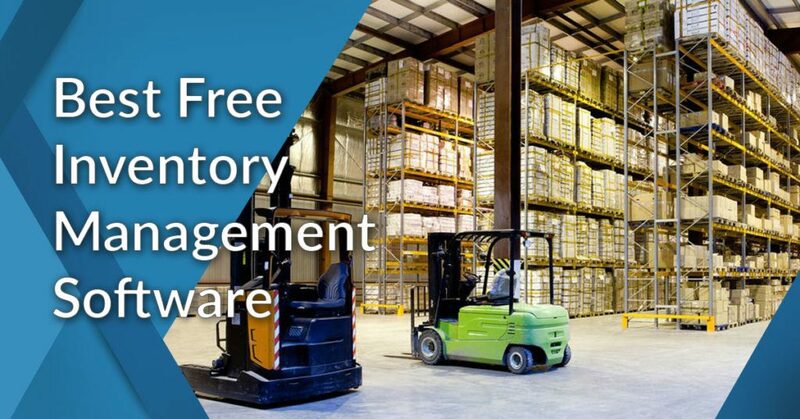 The following are some of the disadvantages of using free inventory management software. Limited Features. Most free solutions have basic functionalities, hence, are not able to handle tasks that paid versions can. It is for this reason that most businesses prefer commercial applications. Little or No Updates. Albeit many popular free solutions enjoy vendor support and updates, many relatively unknown solutions do not. Going for these products may likely result in problems especially when working on critical tasks. This could be caused by a loss of interest on the part of the developer, who could also be just too busy to update the tool. Safety Concerns. This is not an issue with known makers of freeware. However, for tools that are untested, this could pose a problem as unwanted programs could interfere in the operation of your machine. This is why taking precautions prior to downloading free solutions from the Internet is always good practice. Plain-Looking User Interface. Most users prefer tools that work with UIs that are pleasant to the eyes. The bad news is a majority of free software developers do not put stock in UI appearance. This, however, should not pose a problem if you’re only after its features. Unwanted Ads. Most free solutions come with advertising banners that allow them to generate income from the use of their products. This is likewise a minor setback, which can only annoy you at best. All you have to do is to close the ad window to get on with your work. That said, go for a free version that leaves a lot of room to scale once your business demands more complex inventory. One such app is Zoho Inventory. You can easily sign up for a free Zoho Inventory trial here to find out how far its free version goes. If you feel you’re ready for paid plans or simply want to check them out, you can read the 15 most popular inventory management software here. I was excited to read your info and reviews, but seems that despite saying your info is updated for 2019, it’s very innacurate. Ordoro has no such offering as a free (50 orders per month) account. Only a 15 day trial and then the basic account is significantly higher than your data.